There is something about the fall where I get antsy, I want to make life changes, I want to evolve into the person I want to be. I want to go back to school, or at least learning. I’ve always figured it was the changing of the season which lead to my introspective ways this time of year. It could also be because the fall reminds me of school, education, growth, chasing dreams. As the days get shorter and our calendar less busy, I revel in a slower pace that comes with the fall. Two years ago I started a new job and visited Leo in Mexico City. Last year, Leo and I celebrated our wedding with all of our closest friends and family. This time of year holds a special place in my heart. This year, I’m getting into the swing of another new job. I also find myself craving a detox after the months of summer fun, eating out, drinking with friends, concerts. In 2016, I’m planning a detox-October, or detoxtober. It would make such a perfect hashtag wouldn’t it? I’d use is on all the glorious photos I could share on Instagram about me cooking, being healthier, maybe working out or hiking. Reading books with perfectly posed coffee. Oversized sweaters, scarves and skinny jeans with my favorite booties. The beautiful changing leaves. A bonfire in my most worn-in hoodie. But instead of sharing my moments on Instagram, and trying to present the ideal fall lifestyle, I’m aiming to enjoy every moment and be sensitive to all my senses. I’m planning to spend the month off of social media (as much as I can considering my job is pretty tied into social media). Last week, I deleted all the apps from my phone. I’m not saying I’ll be entirely off of them, and I might still share some stuff out as I use Instagram almost as a visual diary of my favorite memories, but I don’t want to spend my quiet moments thumbing through feeds. I want to spend my quiet moments reading and writing. Laughing with Leo. Playing with my pup. Smiling at someone in line instead of looking down at my newsfeed. Trying something new because the spirit moved me not because it would be a perfect social media moment. Stretching. Breathing. Enjoying the world around me. I read once on Quora that by carrying a book with you, you’ll find free moments to read throughout the day which will help you read more. I’m always trying to read more because it makes me smile, it inspires me, it helps me approach things with new perspective. So, I’ll carry a book with me and instead of putting my nose into my phone, I’ll have my nose into a book. 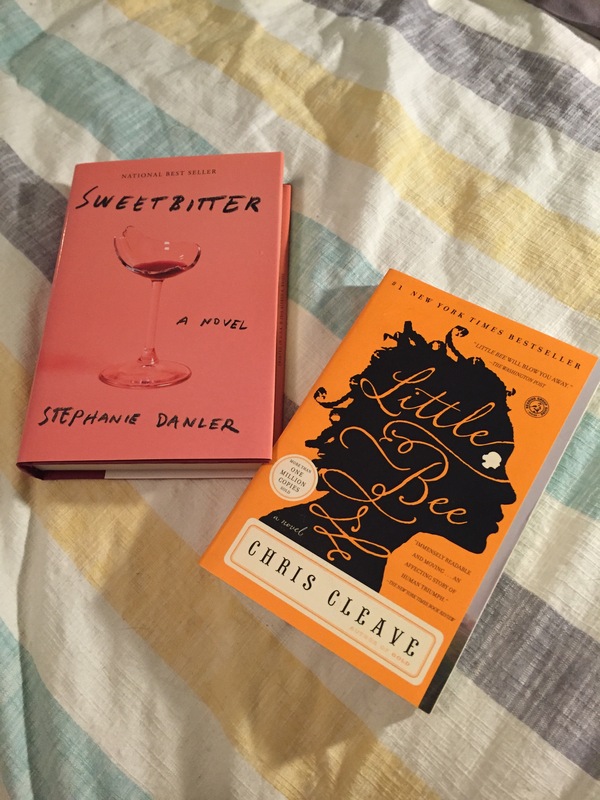 So, here are my two initial reading picks – Sweetbitter and Little Bee . I have grand ambitions of sharing my thoughts on some of the books I read this summer. We’ll see if it happens. If it doesn’t happen, I’m not going to be bummed. I’m just going to keep living and celebrating and not adding self-imposed disappointment into life. I love this time of year. Time to saddle up and change some habits, get into a new routine and treat my body, my mind, my home, my relationship with all the care and love that I have to give. What kind of habits are you planning to reset this fall? Disclosure: This post contains Amazon affiliate links. If you buy a book from those links, I get a little kickback. I can’t recommend them as I haven’t read them yet. But I’ll let you know!